This is my absolute favorite time of year. The weather gets colder, the Christmas music plays a little louder, and the rooms get cozier. Add crochet and a scented candle to that and you have the perfect way to spend the weekend. I can't wait to get the Christmas tree and to start decorating it. I'll finally have a place to put all of my wrapped gifts. I've been working on various crochet items for my friends and family. There are so many great ideas and patterns out there that you can make for anyone. Whether it's a blanket for a toddler, a beanie for a man, or gloves for a woman, the possibilities are endless. The other day, I posted a new pattern that was a gift for my grandma, but I'll probably be making some more for myself! 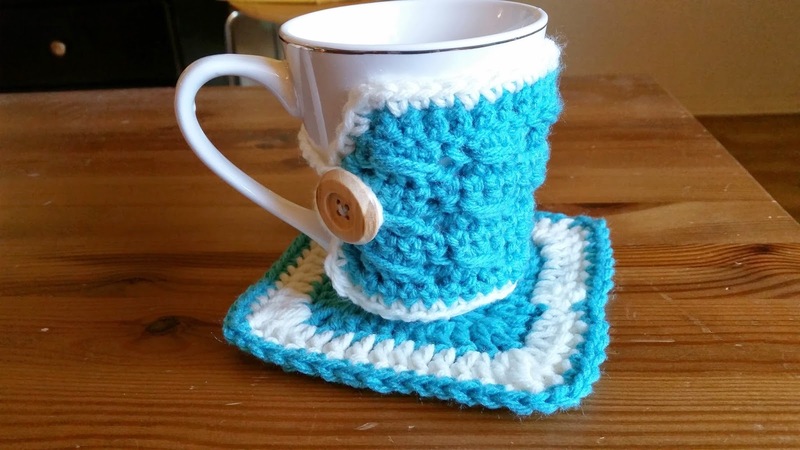 The Mug Cozy and Coaster pattern is super fast and adorable. It's customizable to any size mug and can be made in a variety of color combinations. This puppy dog beanie is a gift for my 9 month old nephew. It's from Repeat Crafter Me and it's very well-written and easy to understand. She has different sections of the pattern for different sizes. She also has a bunch of adorable other animal hats you can check out too. I can't wait to see my little nephew in it. 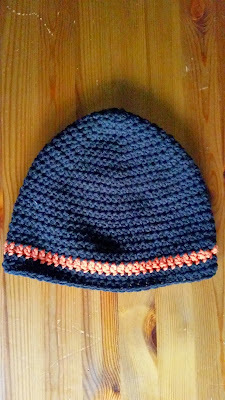 For my other nephew, who is about 2.5 years old, I made a One-Eyed Monster Beanie from a pattern I wrote last year. There's something about little boys and monsters that seem to go hand in hand. He also has some pajamas with monsters on it, so I thought this would pair nicely. My brother's girlfriend loves pickles. Whenever I see a pickle, I think of her. This super cute Christmas Pickle Ornament pattern is very quick and easy. There's a Christmas tradition that involves hanging the Christmas Pickle from your tree, and the first child to find it on Christmas morning gets an extra gift. I don't think she'll be using it for the tradition for now, but who knows, maybe in the future she will! Beanies are essential for cold weather. 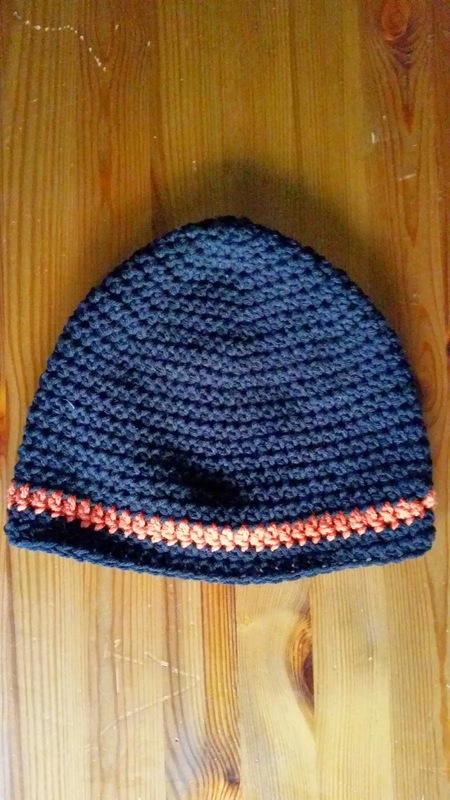 My boyfriend's mom is a huge Giants Fan and loved the beanie that went with the matching scarf that I made a couple weeks ago. 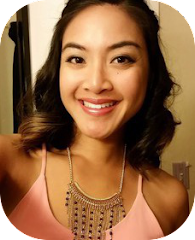 She is also the owner of the SF Giants Coasters, so this year it's time for her to receive the beanie. My Boot Cuffs have been really successful this year. I sell them on my Etsy shop and have been receiving more orders this year than last. I recently sent out this order to a customer in Washington. Looks like she might be giving these out as gifts as well. They are adorable, fast to make, and everyone is so happy to receive these. This is still a WIP, but I am wrapping my gifts in brown paper (bought at the dollar store!) and am making these super cute pom poms with a fork and some scrap yarn. I used this tutorial from Small Good Things. 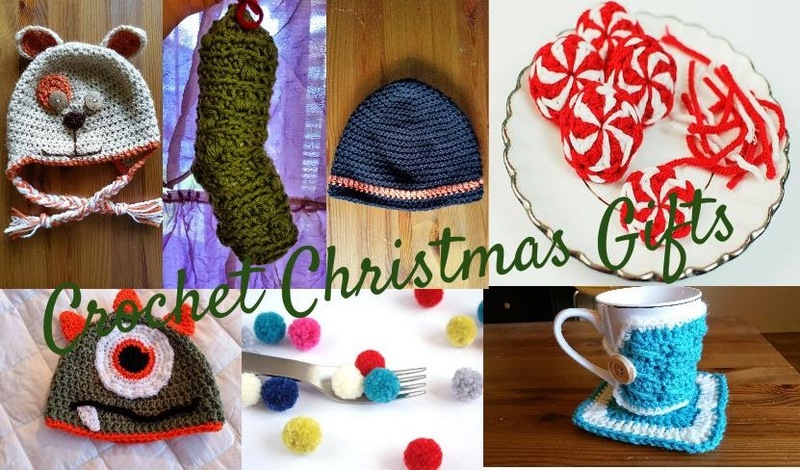 They are super easy to make and a great way to use up left-over yarn. Along with the pom poms, I am also adding these adorable peppermint candies from Petals to Picots to the gifts. I made red and green ones and used them as little ornaments for the gifts. People can also use them as ornaments to hang on trees too if they wish. They work up unbelievably quickly and add an adorable touch to gifts. I will be posting a picture of all my wrapped presents and the tree once it's all set up, so stay tuned! Last year, I made these cute pine cones to add to gifts. They take a little longer than the peppermint candies, but might be worth spending a little extra time making. Giving gifts is a great feeling, but when you spend the time to make a unique, hand-made gift for someone, it makes the experience just a little better in my opinion. What are some things you're making as gifts for the holidays?